A Tender Heart » Blog Archive » His First Joke! A few months ago, I decided to consolidate all the children’s books in the house to Bubbers’ bookshelf downstairs. And as I was reorganizing, I came across a small collection of random books that I’ve kept from my childhood, that I added to his shelf. 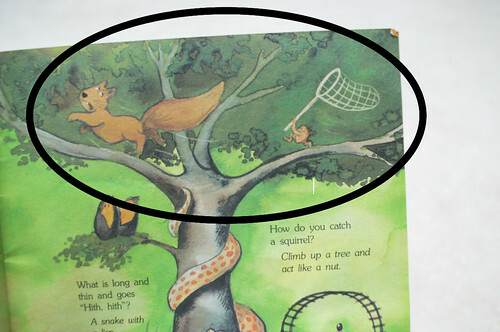 This is a sweet book that I enjoyed looking at when I was a kid. I’d never actually read it until a few weeks ago and it made me cry. It’s very sweet. Charming wishes this was not added to his son’s bookshelf and I can understand that. To be honest, I never remember reading it when I was a kid, but somehow I ended up with it, so I’ve held onto it. 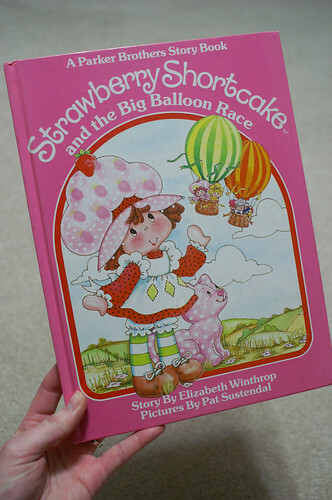 (It brings back fond memories of my little plastic Strawberry Shortcake that smelled like strawberries). And this one I remember buying at one of those elementary school fairs and thinking it was pretty cool. 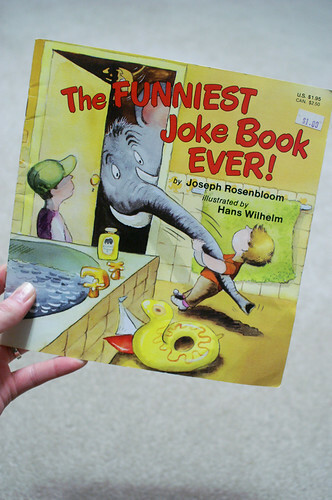 I hesitated in adding it to Bubbers’ bookshelf because I didn’t think a one-year-old kid would have any interest in jokes. But it was small and didn’t take up much room, so I went ahead and added it, figuring it wouldn’t get read for a few years. The first time Bubbers saw it, he called it the “Elephant Book” and asked me to read it to him. I did, but I still didn’t think it would keep his attention. 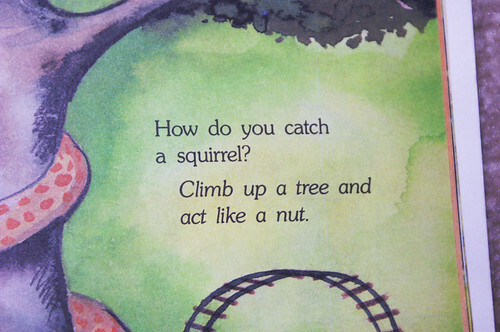 He had me read it to him every day and it wasn’t long before he started chuckling after his favorite jokes. It wasn’t long before he started telling his favorite jokes! He started telling this joke and then burst out laughing afterward. He is so dang cute! I just want to squeeze him! you have the most precious little guy. I can’t wait to see the next one. Thank you so much for sharing! Joshua thought this video was funny, even though I don’t think I understood what was being said. Very cute. 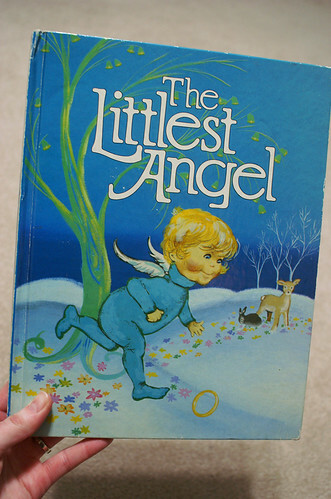 The littlest angel is one of my favorite children’s books ever!! My grammy used to read it to me and it is still one of my most treasured memories of her. Congrats on Bubbers’ newly discovered sense of humor. With parents as funny as you two, we all knew he had it in him! Every Christmas eve we would read a story to our girls. “The Littlest Angel” was the first one I bought. I look for a special story every year so I have quite a selection… but our favorite story is the first one. After I would read our newest story the girls would want the “Angel” story so we would do that one too. For one of their bridal shower gifts I would give them this book and now the tradition continues. I still cry when I read it. i think my favorite part is YOUR laugh!! it’s positively congatious!! and he’s adorable too!! i love the point to his head for ‘wise’ and his perfect peak with little chubby fingers for ‘house’!! too cute! Bubbers is quite the performer! Most kids when asked to perform will be bashful or noncompliant.